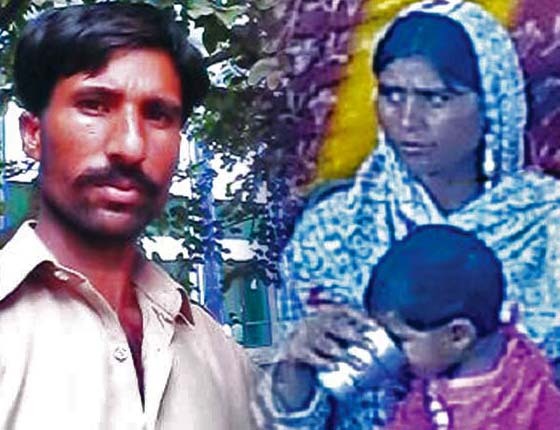 CLARKABAD, Pakistan (Morning Star News) – Commanded from mosque loudspeakers, a Muslim throng in Punjab Province killed a Christian couple yesterday after a co-worker accused the pregnant wife of defiling the Koran, sources said. On Sunday (Nov. 2), Shama was cleaning her quarters when she found amulets of her late father-in-law, who had used them in the practice black magic. The kiln is owned by a Muslim, Chaudhry Yousaf Gujjar. On Monday (Nov. 3), announcements emanated from village mosques calling on “all faithful” to take notice of the alleged blasphemy committed by Shama. The announcements panicked the five Christian brothers of Masih – who also worked at the kiln – and their families, but Gujjar assured them that he would handle the situation. The mob forced their way into the quarters and started searching for the couple. Unable to locate them, the crowd rushed towards the office and demanded that the manager reveal their whereabouts. The couple is survived by two boys and two girls, the eldest son being 7 years old. Soon after news broke in local media, large police contingents were deployed in the area to prevent further bloodshed. Punjab Chief Minister Shahbaz Sharif formed a three-member committee to expedite the investigation of the killings and ordered police to beef up security in Christian neighborhoods in the province. Kasur District Police Officer Capt. Jawad Qamar told Morning Star News that a case had been registered against at least 2,000 “unidentified people” for the murders, and that investigations were continuing. He also said that police had arrested 48 people. Capt. Qamar told Reuters news agency on Wednesday that the murders of the Christian couple were incited by the mullah of a local mosque. He also lowered the number of people arrested to 44. Police filed a First Information Report (FIR) on its own accord, even though the aggrieved family was determined to file a formal complaint into the killings of their loved ones. 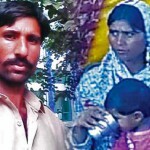 Sources in the Punjab Inspector General of Police office told Morning Star News that the government did not want the family to become the complainant in the case as it would keep media focused on developments and cause “global embarrassment” to the government of Prime Minister Nawaz Sharif, whose three terms in office have been tainted with extreme violence against non-Muslims, particularly Christians. Capt. Qamar declined to say why police had filed the FIR of its own accord rather than allow the relatives to do so. All major acts of religious terrorism against Christians, including Joseph Colony arson in March 2013, Gojra carnage in 2009, and previous killings at Shanti Nagar, Khanewal and Bamnianwala, have taken place under Pakistan Muslim League (N) governments, which draw support from banned Islamist extremist outfits based in the southern belt of Punjab Province. The relative of the deceased and Christian rights advocates criticized the police registration of the FIR and the hasty manner in which the remains were buried without informing the family, allegedly on the counsel of a politician. “We weren’t even told about the funerals. How can a politician approve the funeral of my [relative] without even seeking my permission?” the source said, adding that the family had decided to challenge the government’s decision to register a case on its own. Attorney Aneeqa Maria, who will be filing a request in the Lahore High Court for a stay order against the government’s FIR and for a fresh FIR into the case filed by the family, said that the attitude of the government and police showed that they would brush this case under the rug in the same way they did with those accused in the Joseph Colony arson, which destroyed 175 homes, after rumors spread of an alleged remark against Islam by a Christian (see Morning Star News, March 11, 2013). He added that both Muslims and non-Muslims were falling prey to the blasphemy laws but no political party had dared to confront its misuse by people to settle personal vendettas. Rights groups have said that Pakistan’s blasphemy laws are often misused to persecute minorities and to settle personal scores. In a recent report, Amnesty International said the vague formulation of the blasphemy laws, along with inadequate investigation by authorities and intimidation by mobs and some religious groups, has promoted vigilantism across Pakistan, especially in Punjab Province. Amnesty also condemned the killings, demanding that authorities bring justice. The rights group said the climate of impunity around violence against religious minorities in Pakistan is pervasive, and that it is all too rare that those behind attacks are held accountable. On Oct. 16 a court upheld the death sentence for Aasiya Noreen, commonly known as Asia Bibi, the first woman to be sentenced to death for blasphemy in Pakistan. She was arrested in June 2009 after Muslim co-workers in a berry field 60 miles west of Lahore beat her when she refused to convert to Islam. Also on Wednesday, Prime Minister Sharif said the murderers will be brought to justice. Sharif directed Punjab Chief Minister Shahbaz Sharif to show no mercy and allow the law to take its course to punish those responsible. Will this madness ever stop? There is no way to know what really happened. The coworker could have thrown the book into the fire and blamed the Christian. Church and state need to be separate and human rights protected before this society can progress. The people responsible at the mosque need to be held responsible along with the mob, charged, and punished.